Η Mercedes παρουσιάζει το Night Edition πακέτο για την S-Class Coupe. Αποτελείται από μαύρη γυαλιστερή μάσκα, ζάντες 20″ της AMG, μαύρους καθρέπτες και spoiler στους προφυλακτήρες. Υπάρχουν ειδικά σήματα στα μπροστά φτερά, ενώ προσφέρεται και με το γκρι ματ χρώμα “selenite grey magno”. Στο εσωτερικό συναντάμε AMG δερμάτινο τιμόνι, φωτιζόμενα μαρσπιέ, δερμάτινες επενδύσεις και ξύλινα διακοσμητικά. Stuttgart. 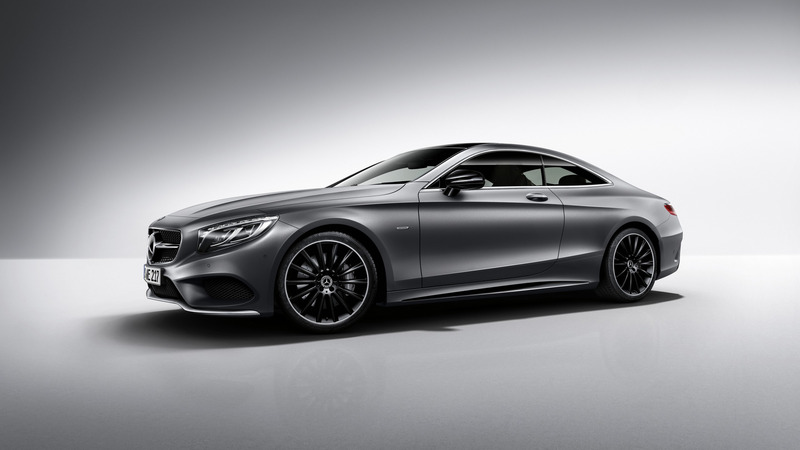 Mercedes-Benz is extending its range of exclusive models with the arrival of the S-Class Coupé: “Night Edition” from April 2017. 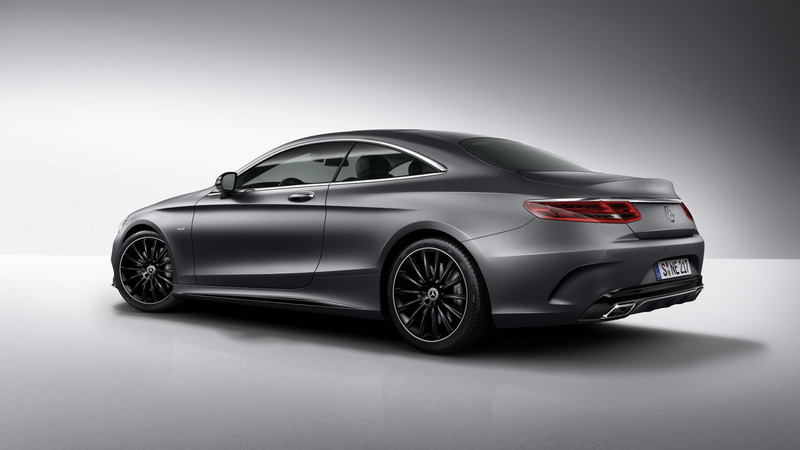 This two-door model will be available to order as a S 500 Coupé with effect from 9 January 2017. 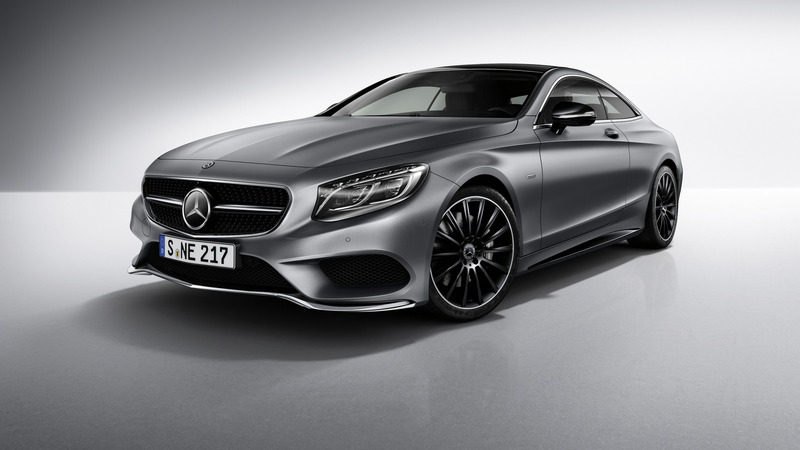 The “Night Edition” model will celebrate its world premiere at the Detroit auto show in January 2017.The exterior equipment details of the S-Class Coupé “Night Edition” include its distinctive radiator grille with a single louvre in high-gloss black, together with 20-inch AMG multi-spoke light-alloy wheels. 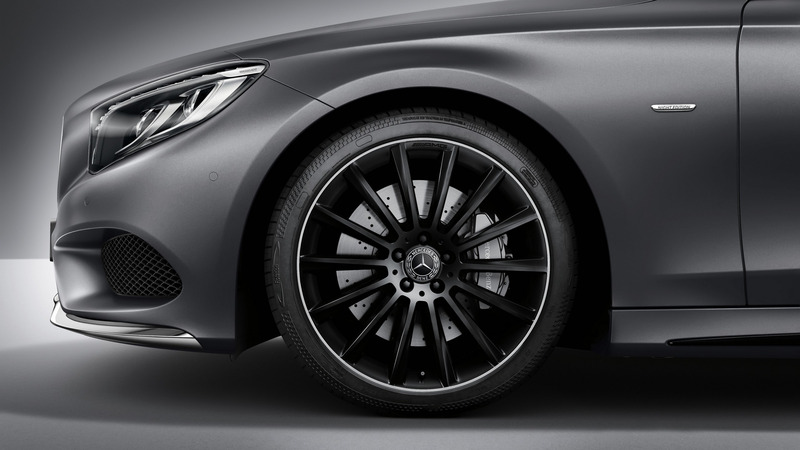 The exclusive wheels are painted black and feature high-sheen detailing. The exterior mirror housings and the inserts in the side sill panels are also finished in high-gloss black. 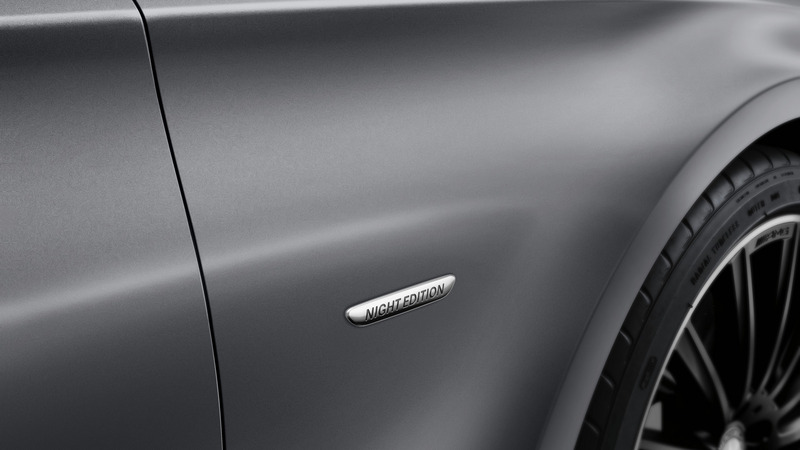 Front and rear aprons with AMG bodystyling come as standard, with “Night Edition” badges on the front wings. Selenite grey magno paint comes as standard. The interior features engraved “Night Edition” wording on the insert of the nappa leather AMG sports steering wheel. Customers can choose from upholstery in leather, nappa leather or AMG nappa leather in black/black; crystal grey/black; saddle brown/black; or Bengal red/black; while a high-gloss black poplar wood trim comes as standard (nappa leather in black is standard in UK, crystal grey available as no cost option). Boasting a stylish appearance, generous equipment and refined driving characteristics, the S-Class Coupé combines modern luxury with state-of-the-art technology.